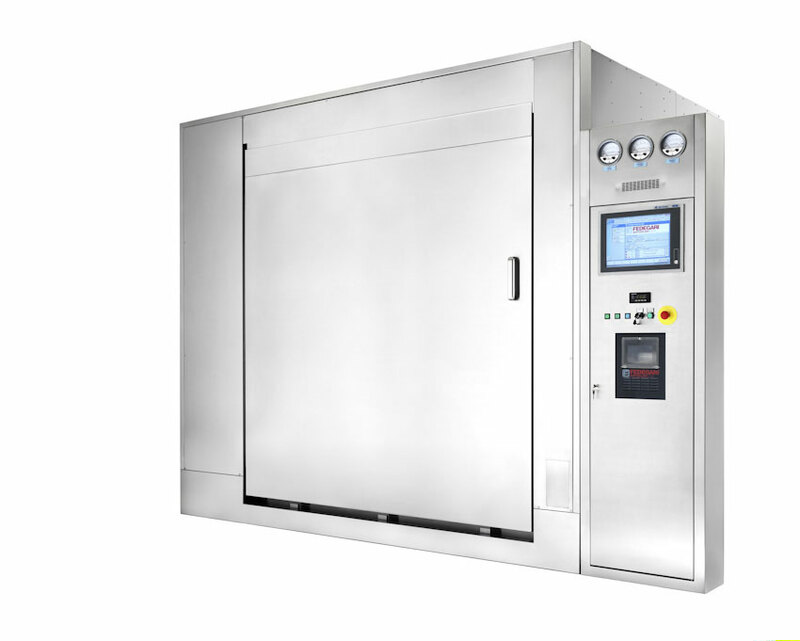 THE PERFECT SOLUTION FOR DRY-HEAT STERILIZATION AND DEPYROGENATION NEEDS. 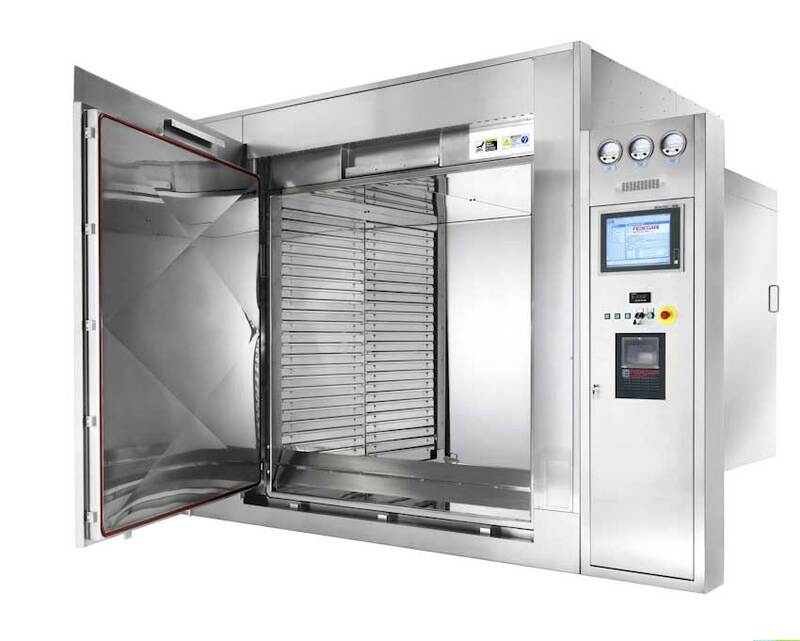 FOD ovens, such as autoclaves, run batch processes and are the ideal solution for the sterilization of all those production lines in which the variability of products, batches and formats do not allow the use of continuous sterilizers such as tunnels. 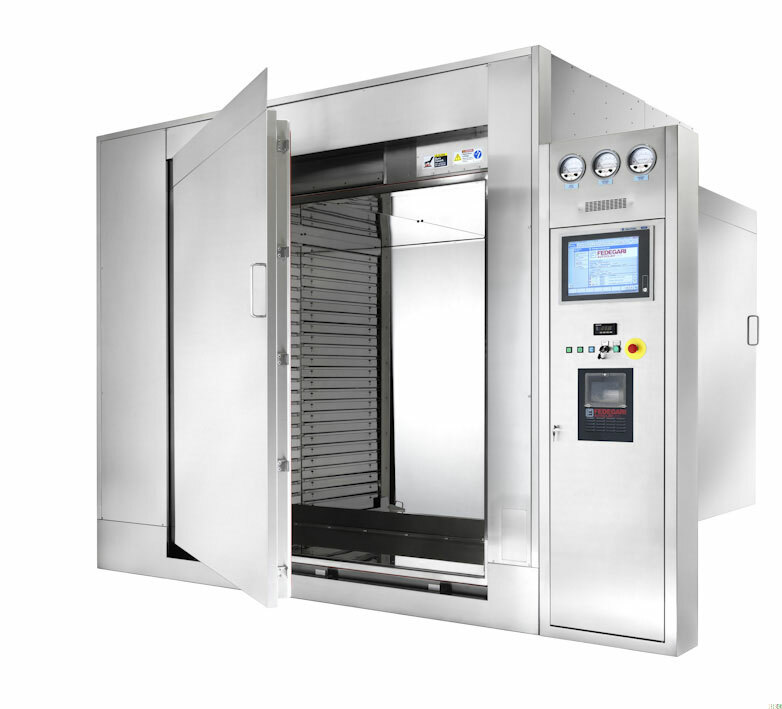 FOD ovens main advantage lies on its particle contamination class assurance. Fedegari guarantees the contamination level to remain under the established standards values for 100 class. 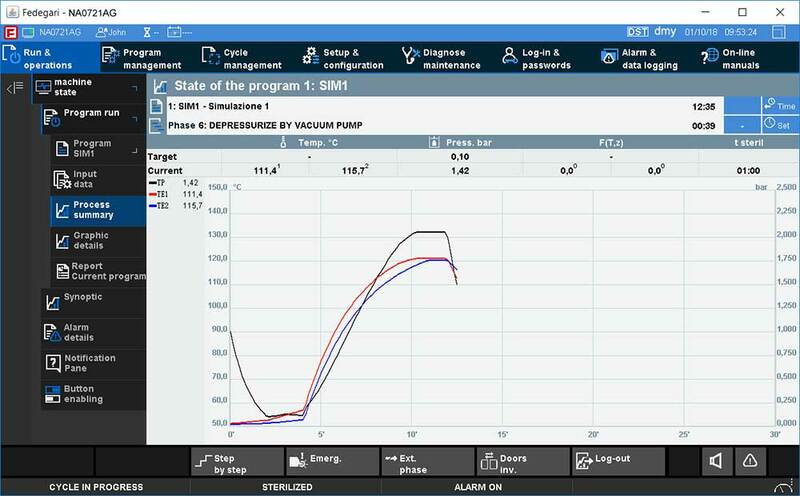 This accuracy is verified also during the most critical phases such as heating and cooling, when the thermal expansion of the filters may release a great amount of particles. Particulate contamination control originates from complex fluid dynamic studies and a close collaboration with Camfil, the world’s most respected filter manufacturer, with whom Fedegari works at the development of high-temperature filters. 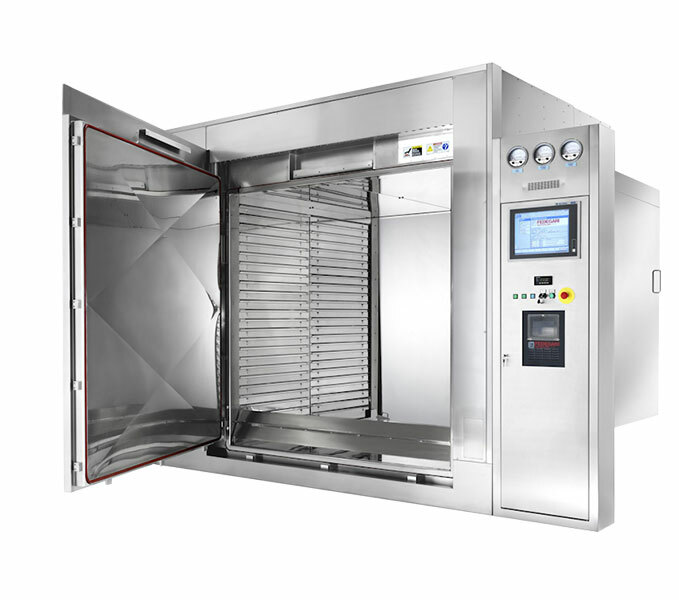 Sterilizing chamber: sealed welding, made of AISI 304 stainless steel 1,5 mm thick.